Published: January 23, 2019 10:27 Mythily Ramachandran, Special to tabloid! He adds the suffix ‘Super’ to his name, but ‘Vijay Superum Pournamiyum’ character Vijay is anything but that. An easy-going young man with an engineering degree, Vijay has no big ambitions. On the other hand, MBA graduate Pournami dreams of the day when she will be known as a successful entrepreneur. 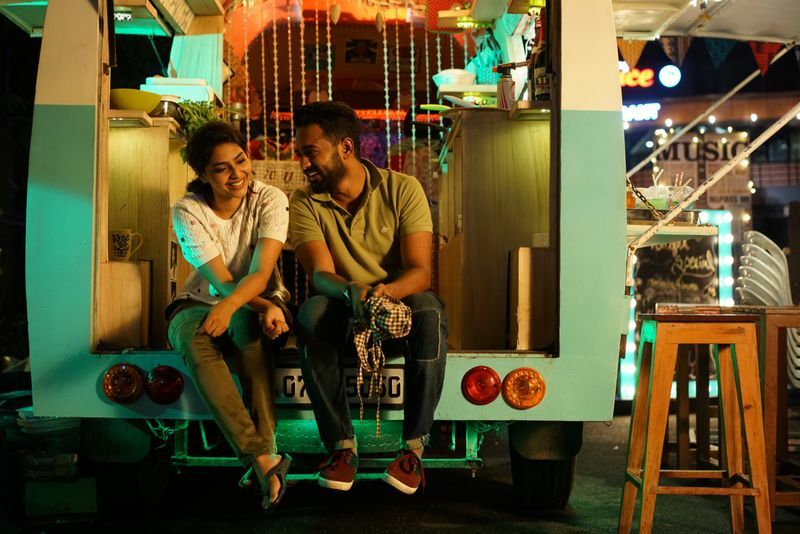 Malayalam director Jis Joy’s story follows the lives of Vijay and Pournami, played by Asif Ali and Aishwarya Lekshmi respectively. Joy found the inspiration for this story after watching Telugu film ‘Pelli Choopulu’ two years ago. He credits Telugu director Tharun Bhaskar for the story idea. The foremost hurdle was building the story to suit the sensibilities of viewers in Kerala. Shot in Kochi, Alleppey and Kalamaserry, the pre-production process took a lot of time as Joy scouted for locations that have not been explored in Malayalam cinema so far. “The story happens in three homes and finding the right ones took time,” he said. Joy is working with Ali for the third time. A committed actor, Ali was involved in the story right from the word go. “He does not even bring his mobile [phone] to the sets,” Joy said. Lakshmi has worked with Joy in his advertisement and he waiting to cast her in his next feature film. “She is a natural actress and post release people are praising her work,” he said. The supporting cast includes Renji Panicker, Shanti Krishna, KPAC Lalitha, Siddique, Balu Verghese and Aju Verghese. Since its release in Kerala on January 11, ‘Vijay Superum Pournamiyum’ is being appreciated as a family entertainer. Joy’s phone has not stopped ringing and bouquets are pouring in. The best compliment was from Unni K Warrier — a senior journalist of newspaper Malayalam Manorama — who called him and appreciated Joy’s ability to communicate a story about human relationships. ‘Vijay Superum Pournamiyum’, produced by Sunil AK, releases in the UAE on January 24.